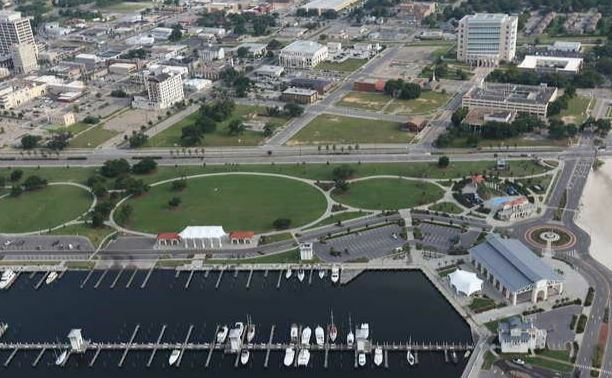 GULFPORT -- The city has received three proposals for casino developments in the harbor, and selected a team to design an aquarium for vacant property north of the harbor and Jones Park. The city's urban development agency, the Gulfport Redevelopment Commission, is overseeing the projects. GRC attorney Steve Hendrix and Chairwoman Carole Lynn Meadows would not release details about the harbor development proposals, other than to say all three involve casinos. "They're all marked confidential and proprietary," Hendrix said. "We're in negotiations on a potential developer." He said GRC would release details "as soon as we can." GRC received proposals from five teams for aquarium designs. The proposals each paired local firms with nationally recognized designers. GRC plans to negotiate a contract for the design with Coast architectural firm Eley Guild Hardy, which teamed with PGAV of St. Louis, Mo. A GRC news release says PGAV "is the themed industry's largest independent design firm and has designed over $5 billion in themed entertainment venues," including Busch Gardens, SeaWorld, Universal Studios, Georgia Aquarium, and the Grand Aquarium at Hong Kong's Ocean Park. Bass Pro Shops, National Geographic and the Kennedy Space Center also are PGAV clients. Eley Guild Hardy designed the Robert J. Curry Public Safety Center, plus harbor elements that include Barksdale Pavilion. More than $40 million has been spent on harbor restoration and expansion since Hurricane Katrina. The harbor includes the public Jones Park where festivals are held, two large covered pavilions, a fishing pier and the Bert Jones Yacht Basin. The city wants to locate a public aquarium on land it purchased north of U.S. 90 and across from Jones Park. The estimated cost of the project is $80 million to $100 million. The state Legislature has approved $12.5 million in bonds that can be applied toward construction costs. "Today is a milestone for the future of Gulfport, the State of Mississippi and the region," Meadows said. "This aquarium will bring a much-needed place where families can come together to explore and to learn about the wonders of the aquatic world. "We see this aquarium as a catalyst of development in Gulfport and an enhancement to the growing tourism industry in the Coastal region. Now, the fun begins as we work with our designers in bringing our vision of the Mississippi Aquarium at Gulfport to reality."